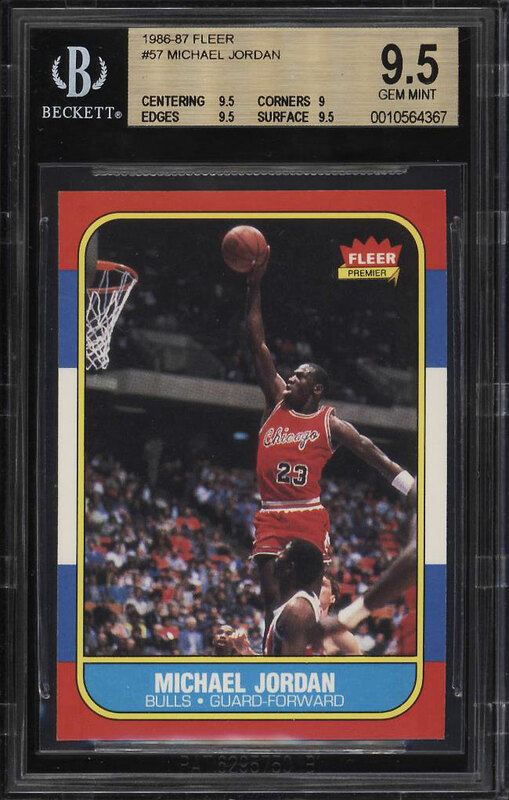 Exquisite '86 Fleer Jordan rookie up for bid this month. The offered 9.5 displays pack fresh eye appeal throughout with strong GEM MINT presentation. The surfaces are gorgeous with some of the finest print, color and focus we've seen on the issue. Beautiful centered with near pristine edges and four pointy corners. 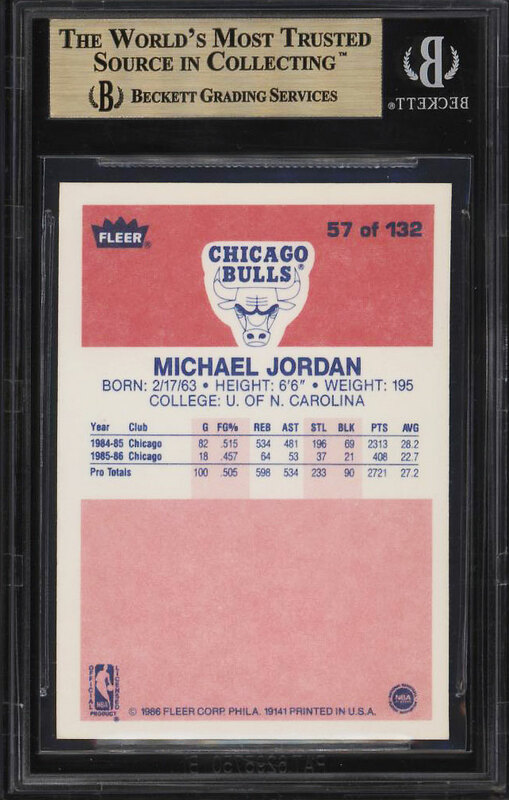 Jordan is widely considered the greatest Basketball players of all-time and is an icon among sports. A premier investment caliber card which commands attention. One of over 18,000 cards, lots and sets up for bid in our 6th Auction of 2018. Click on the link above to view the other PWCC auction lots.